One of our favorite sections in all of Target is the office and school supply section! We found these super cute Polaroid note cards that feature fun Polaroid images on the front and a blank card on the inside for you to send as either thank you cards or just a regular note to your favorite pen pal. Price: $14.95 Purchase Here! 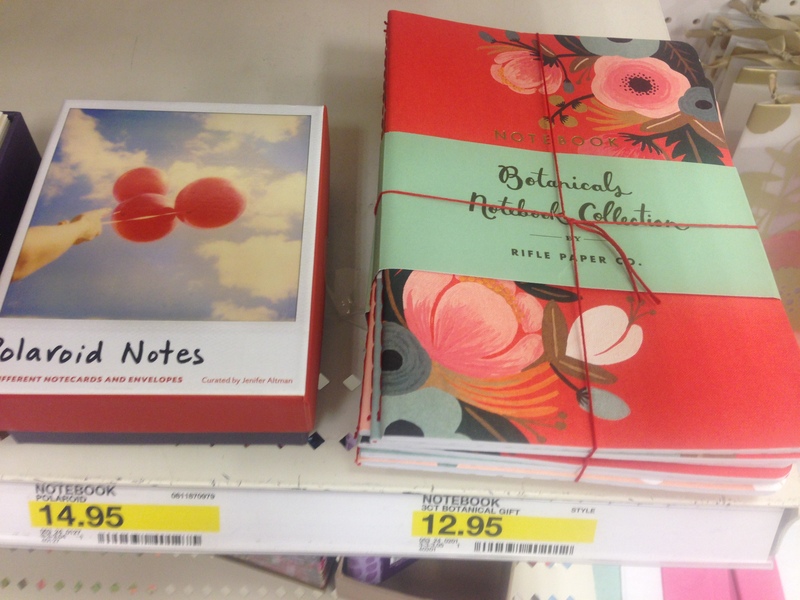 Bound together with a little twine, these precious notebooks are a must have for all you writers. These are perfect for journaling or even taking to school or work for meeting notes! Price: $12.95 Purchase Here! 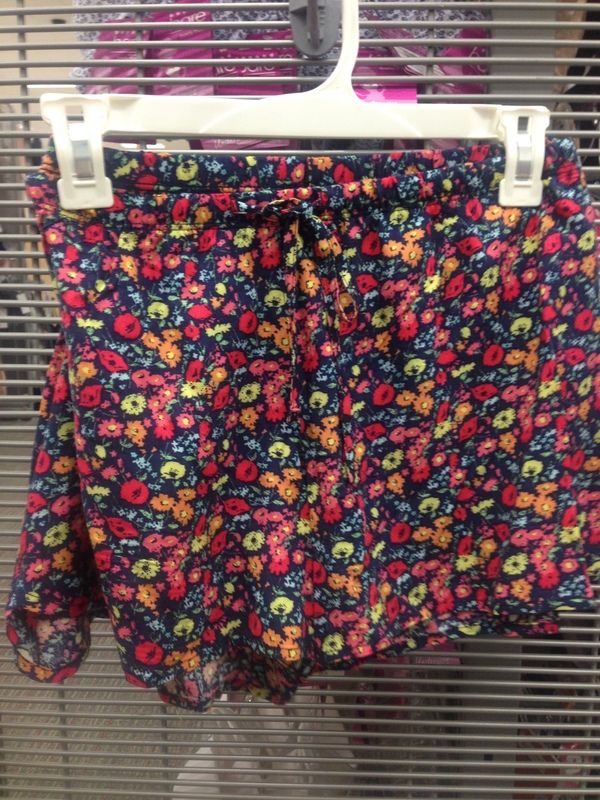 Not only are these pajama shorts as cute as can be, they are also super soft! Featuring a tie waist band and a scallop hem, we are positive these will be flying off the shelf. (Note: If you live in Lubbock we suggest purchasing them at the University location or online because this was the last pair at the Marsha Sharp location) Price: $12.99 Purchase Here! Sarah put together the most perfect outfit for the sunny weather we had on Saturday. 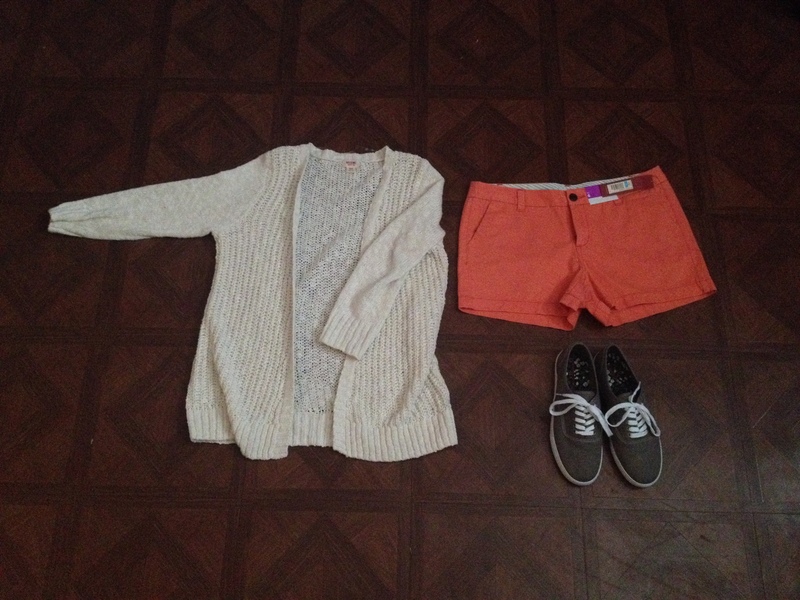 Seriously, what is not to love about this super cute cardi, fun shorts, and precious kicks. Cardi- Price $22.99 Purchase Here! Shoes- Price $14.99 Purchase Here! I mean, did y’all really think we were going to walk out of Target without finding something with an owl on it? 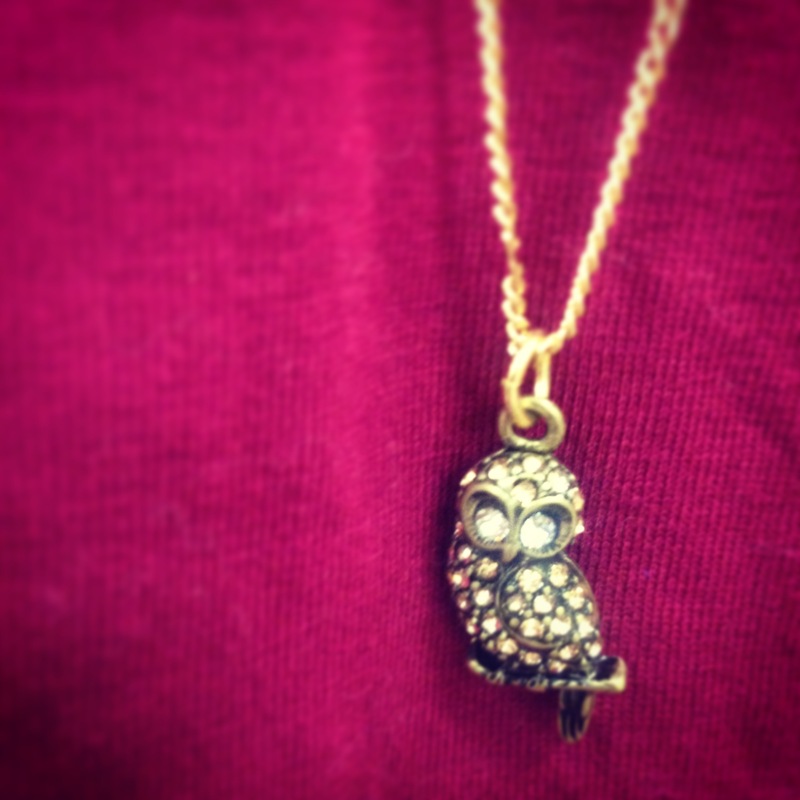 We are in LOVE with this necklace and you should be too! (Note: this piece is not available online but we found a similar one!) Price $9.99 Purchase Here! So, what did you think of our first Target Tuesday post? Let us know! 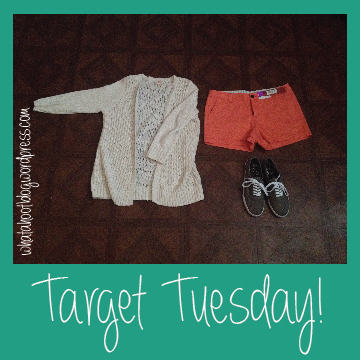 Love the Target Tuesday…especially putting together an outfit! Can you do the outfit every Tuesday? Sylvia, we would love to.. but that may be bad for our wallets 😦 Neither of us can seem to walk out of Target empty handed!